Equity in access and experience are core values of all Coyote programs. The experience of diverse races, cultures, and economic backgrounds is an essential part of what kids learn at Coyote. Outreach through schools, social service agencies, communities of color, and other community partners helps us reach traditionally under-served populations, and we provide every family with whatever scholarship support it needs. Dive into your medium of choice in a 20-hour, hands-on series of classes! Join a group of 10-15 year-olds who are eager to explore the same art form. With a professional teaching artist, you’ll learn the ins and outs of welding, cooking, fashion design, bike building, and so much more! Use tools typically reserved for professionals and end the course with a project worthy of applause. ALL STUDIO CLASSES ARE PAY-WHAT-YOU-CAN! 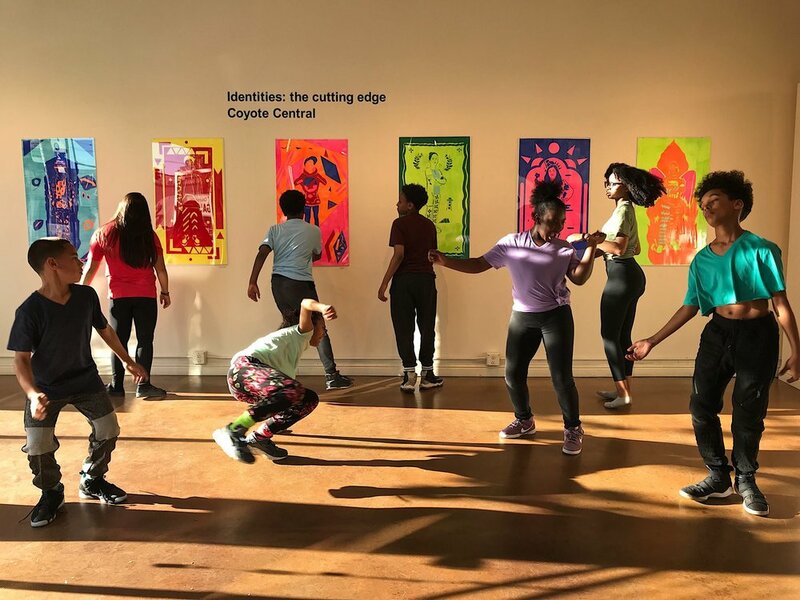 Coyote offers weekend classes in the Winter, Spring, and Fall and over most public school breaks, following Seattle Public School’s calendar. Summer classes are offered June - August in weeklong options. If you’re 10-11 years old, have tried a Coyote class, and are ALL ABOUT exploring what Coyote has to offer, then this three-year immersion program is for YOU! WE’RE LOOKING FOR SPRING CITYWORKS ARTISTS! Are you eager to make art for something bigger than yourself? Are you 12-16 years old? Would you describe yourself as an artist, a creative, or someone who thinks outside the box? Would you like to see your art in the community? If you answered yes to at least two of these, CityWorks is for YOU! If you’re ages 13 -16 and serious about making art, Hit the Streets could be for you! Aging out of Coyote but still eager to be involved? Interested in shaping the future of Coyote for youth? Join the Youth Advisory Board!